1. Comfort Dentistry and Cosmetic Dentistry? Going to the dentist does not have to be associated with anxiety and discomfort! Dr. Scott Owens takes several steps to make sure our patients are relaxed and comfortable while receiving the best in modern dental care. 2. What causes sensitive teeth? Sensitive teeth can be caused by a range of factors. The porous part of the tooth, called dentin, is the region that registers pain, and dentin can become exposed due to fractured or chipped teeth . Teeth injured by clenching or grinding . Receding gums caused by gum disease or improper brushing. 3. How do I keep my child's teeth healthy? Following a few simple guidelines can help keep your child´s teeth strong and beautiful for life: start oral care early . Oral care should start soon after your child is born. After feeding, clean your child´s gums using gauze or a clean, damp cloth. As soon as your child´s teeth appear ´ as soon as four months after birth ´ they should be brushed. Each day, brush your child´s teeth with a soft, wet toothbrush and a pea-sized amount of fluoride toothpaste. Prevent nursing-bottle mouth . Nursing-bottle mouth, also known as baby-bottle tooth decay or baby-bottle syndrome, can cause a baby´s front teeth to rapidly decay, which can lead to a lifetime of dental difficulties. Preventing nursing bottle mouth is easy: if you give your baby a bottle at nap or bed time, simply fill it with plain water rather than formula, milk, or juice´never let your child fall asleep with a bottle filled with a liquid other than water in addition, check your child for brown spots near the gums because they are a warning sign for tooth decay. Take your child to the dentist . General, preventative dentistry should start early. A child´s first dental visit should take place at 6 to 12 months after birth. Regular fluoride treatments, administered by a dentist, are especially helpful in strengthening enamel and arresting tooth decay for children. Contact our general dentistry practice today to schedule an appointment for your child. Take advantage of dental sealants . Dental sealants are a popular and effective way to protect your child´s teeth against cavities. 4. What are dental sealants? Dental sealants are a plastic coating painted on the grooved, hard-to-reach surfaces of the back teeth. Pits and fissures on these surfaces are particularly susceptible to tooth decay. Dental sealants can be used to seal out cavity-causing bacteria from damaging the teeth. Maintaining dental health has two main components at-home dental hygiene and professional cleanings and examinations. Simple maintenance of your dental health can prevent complications such as tooth loss, as well as the need for restorative or cosmetic dentistry in the future. 6. How are dental sealants applied? Dental sealants are quickly applied at our office. Dr. Scott Owens prepares the chewing surfaces of teeth, and then paints on the sealant. The sealant material bonds directly to the tooth and hardens with the aid of a special curing light. Dental sealants hold up well under the force of chewing, and they provide protection against cavities for about five years. During regular dental visits dr. Mulder will check the state of sealants and re-apply them if necessary. 7. How does professional teeth whitening work? Physician-supervised teeth whitening systems such as zoom! 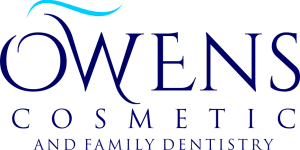 Is widely considered to provide the safest cosmetic dentistry treatments. Teeth whitening is a conservative method for completely making over your smile. Chairside teeth whitening procedures are performed with a specially formulated peroxide gel that allows oxygen to permeate your tooth enamel, lifting stains. The structure of your tooth enamel is not affected. The most common side effect is temporary tooth sensitivity. 8. Do you offer tooth-colored fillings? Can they replace my old metal fillings? The placement of tooth-colored composite fillings is one of the most commonly performed general dentistry procedures at our dental practice. In addition to filling new cavities, these beautiful restorations can replace old metal fillings that have blackened, fractured, popped out, or that simply take away from the beauty of your smile. 9. If I am missing one or more teeth, what are my options? Patients today have an array of options for replacing missing teeth. Dental bridges, dentures, and dental implants all have their advantages and disadvantages, though modern cosmetic and restorative dentistry has come to favor dental implants because they look and function just like real teeth and require no special care. If you have lost a tooth or several teeth, we urge you to seek treatment. Adjacent teeth can shift into the gap left by a lost tooth; in addition, a missing tooth can lead to bone loss, hygiene problems, difficulties with speaking and eating, and much more. Today´s dental restorations are better than ever, and they can give you a strong bite and a beautiful smile. Contact us today for a consultation to learn more about your options for tooth replacement. 10. How can I finance my general, cosmetic, or restorative dentistry treatments? We offer an array of financing options that allow patients to spread the cost of their general or cosmetic dentistry over time. We also accept payment by a variety of methods, including payment through dental insurance. 11. Do you offer free consultations? Yes! We believe that a complimentary, one-on-one consultation is the perfect introduction to the customized general and cosmetic dentistry care offered at our dental practice. Contact our cosmetic dentistry practice today to schedule your consultation. 12. How can I prevent tooth decay and gum disease? Good oral hygiene starts at home, though it needs to be supplemented by regular visits to our cosmetic and general dentistry practice. Steps you can take to prevent tooth decay and gum disease include: thorough brushing brush at least twice daily using a soft-bristle toothbrush and an ada-accepted fluoride toothpaste. This helps prevent tooth decay, gum disease, and the need for costly cosmetic or restorative dentistry in the future. Replace your brush every two to three months. Proper flossing flossing is crucial to the health of your teeth and gums and the prevention of gum disease. When flossing, use an 18-inch strand of floss. Ease the floss between each tooth; then, sweep it up and down several times while curving around the tooth at the gum line. Don´t forget to floss behind your last tooth and to floss bridges and artificial teeth with the aid of a floss threader. Regular dental visits at every regularly-scheduled dental appointment at with dr. Mulder, we will carefully check your teeth, gums, mouth, and throat. A checkup at our office includes: ´ a head and neck examination: this includes a cancer exam, facial exam, palpation of chewing muscles, palpation of lymph nodes, and an exam of the temporomandibular (jaw) joint. ´ a clinical dental examination: this includes a periodontal exam and examinations of the mobility of teeth, the mucous membranes, saliva, occlusion (bite), removable appliances, and contact between teeth. If we detect tooth decay or broken fillings, we will discuss appropriate action with you. ´ a full set of digital x-rays ´ a dental cleaning (prophylaxis): this includes scaling plaque, polishing teeth, flossing, assessing your mouth´s cleanliness, and providing oral hygiene instructions. If you wish to learn more about proper brushing and flossing techniques, ask your dentist about it at this stage of the visit. Following the clinical dental exam, your dentist will discuss a detailed treatment plan, if necessary. One of our friendly receptionists will schedule a follow-up visit for you. Regular dental visits, along with a thorough home care regimen, are key to a lifetime of good oral health. General dentistry of this type can prevent the need for cosmetic or restorative dentistry later in life. 13. How does fluoride help prevent tooth decay? Fluoride helps reverse and prevent tooth decay in three ways: 1. Promoting tooth remineralization acids can demineralize a tooth ´ that is, create a weak spot that develops into a cavity. Fluoride helps promote the opposite process, called remineralization, which can reverse the very early stages of tooth decay. 2. Helping teeth become more resistant to tooth decay fluoride actually strengthens teeth, giving them natural protection against future tooth decay. 3. Inhibiting oral bacteria´s ability to create tooth-attacking acids fluoride disrupts bacteria´s ability to metabolize sugars, the process that leads to the attack of tooth enamel. 14. What are the stages of gum disease? How is gum disease treated? Gum disease has several stages. The initial stage is called gingivitis and is an infection of the gingival (gum tissue). In this stage, gums become red, swollen, and prone to bleeding. The underlying bone is unaffected. In later stages, however, gum disease can lead to bone loss and the loosening or even loss of teeth. Gum disease treatment varies according to the stage of the disease. At its mildest stages, gingivitis can be treated by clearing plaque and tartar deposits from the gum pockets. Severe gum disease, on the other hand, might require treatment that includes bone and gum grafts. 15. What are the causes of bruxism (teeth grinding)? Teeth grinding can be caused by a range of factors; often, both emotional and physical factors are involved. Causal factors can include stress, sleep disorders, an abnormal bite, and crooked or missing teeth.